After a break of 28 years, I decided to visit Chessington again last Friday as I was in the area for the Summer Screamer event on the Saturday. I'm not too sure why I left it so long to return back to the park, but needless to say it has changed a fair bit since my last visit for Vampires opening season. Overall I was really impressed. The park was clean, the ride ops and staff were extremely friendly and a lot of fun, and the ride collection while not amazing (I prefer height and speed to theming) was more then adequate to keep me entertained for the day. Gentlemen, start your engines !! 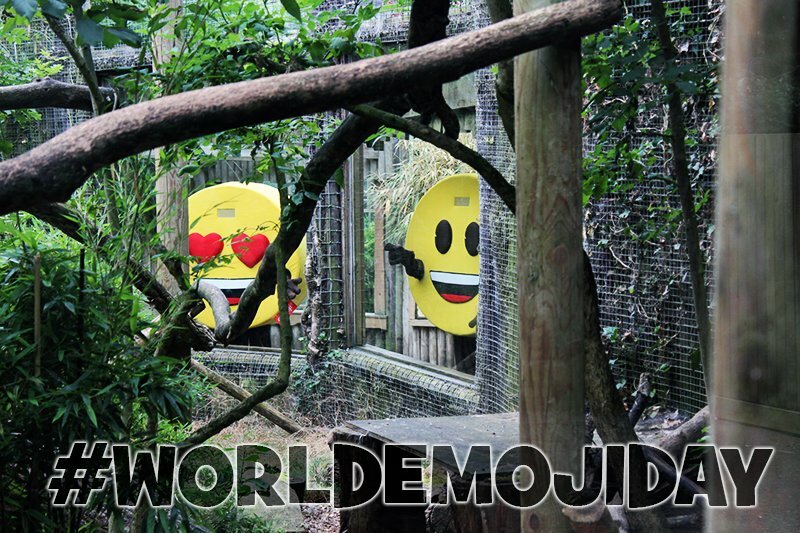 Chessington World of Adventures Resort have announced that the ‘Summer of Emoji’ will be taking place between 19th July and 3rd September. Included in the event will be an activity trail in which guests set out to find the hidden Emoji’s in order to win an exclusive pop badge. There will also be prize giveaways for park guests, social media and challenge winners, along with the chance to meet your favourite Emoji characters. Somewhat confusingly, the dates on the image don’t match the dates stated on the webpage. So let me get this right, Merlin have paid money to license the use of generic yellow expressive faces, which they're going to turn into meet and greet characters. Just think with Tiger Rock they could have made their own mascot characters: Terry and Tara, the Chessington Tigers. One likes to explore, the other loves adventure. Much cheaper, more fitting with their theme, and an ability to create their own merchandise. But sorry Chessington, that's my idea now. So you can't have it unless you license it from me. I'm really not sure what to make of this. To be honest, it doesn't fit in with Chessington's theme. It is a shame that they didn't use Rocky from Tiger Rock. They have made him into a soft toy, so could be a mascot. While I am not keen on the theme at all, I think it would have fitted in more at Alton and the current CCL. Does anybody know what is happening to Kobra? 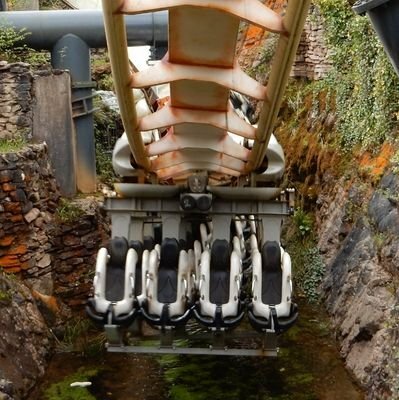 It has been shut all today and I really want to ride it when I visit Chessington on Tuesday. 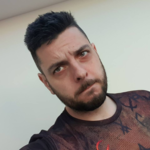 Seems to have been having a few issues lately, was down on Wednesday morning when I was there but back up and running later in the day. 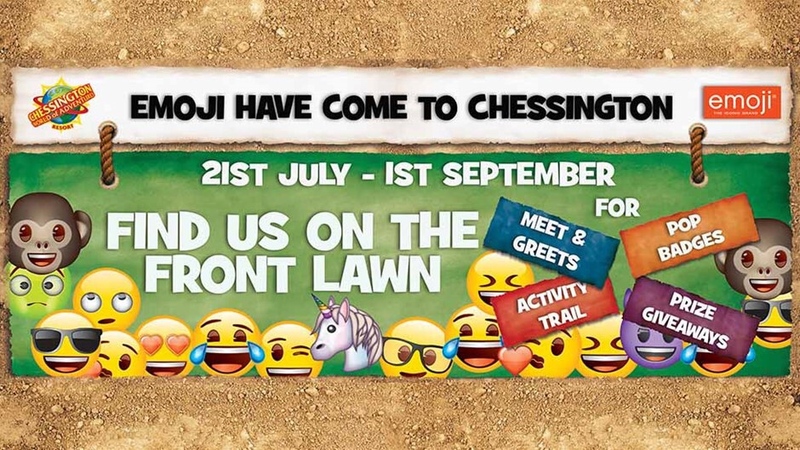 The Chessington emoji "characters" have made an appearance. I have to assume that they didn't spook the animals with their photo shoot. Quick warning for anyone intending on driving to Chessington next Sunday. The RideLondon event will be taking place and will cause some roads and routes into Chessington to be closed. It looks that if you're coming in via the M25, you would need to take junction 9. The signposted route from junction 10 if you're traveling anti-clockwise will likely be unavailable. But to be sure, check the interactive map they have provided on the link above! Due to a burst water pipe in the area, Chessington are experiencing no water/low pressure this morning. The resort are are currently working with Thames Water to find a solution and will not be opening until 11am today. After yesterday’s closure due to water supply issues, Chessington have announced that they will be open on time, and as normal today. 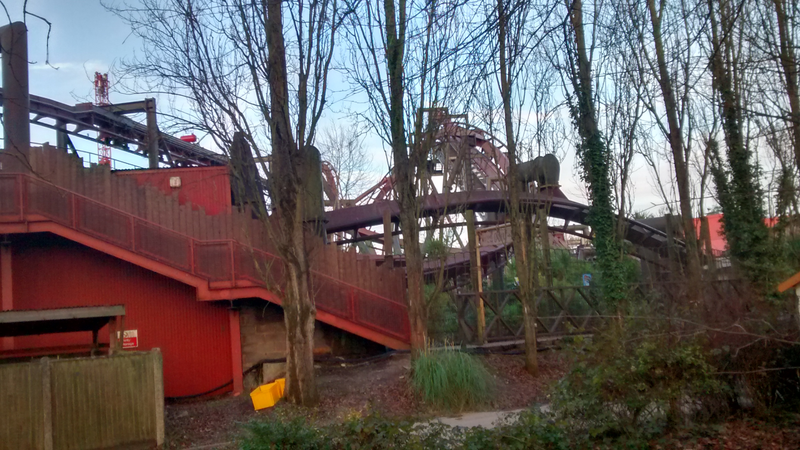 I went to Chessington yesterday for the first time since I believe 2015 and I wanted to write a little trip report on it. We did have a good day but there was a few problems with Chessington. First I'll start with the positives, the whole Land of the Tiger area is amazing and a really great addition to the park. I was also surprised at how big the whole tiger enclosure was which is great for the animals and the general feel of the area. Also all the staff through out the day were great and really friendly, and I really like how the whole park is themed overall. Now the negatives on both my visits the operations were awful. The worst example of this has to be Rameses which I think has some of the worst ops I've ever seen. Now I'm mainly comparing this Ripsaw as that's the only other top spin that I have done but Rameses gets loaded from both sides which is weird as I originally boarded on the left hand side from the queue so I moved all the way to the end to fill every seat, but then people where also let down the right hand side and that caused them to have to move around me to get on the ride. They also don't tell everyone to fill every available seat which causes two single seats in the middle and end of the row which could have a party of two in if everyone moved down to fill every seat. Chessington also seems to not like asking for any smaller parties of two to fill extra seats. I noticed this on Vampire where the queue was 100 mins and I was in a party of 3. This meant that I got batched onto my own row and I noticed that further down the gates there was another single rider on the same train. To me it would've made sense to put me and the other single rider together and then ask if their was any parties of two in the main queue, especially because the station staff were trying to improve the throughput. My other gripe was with Tomb Blaster. Can this even be called a dark ride? Most of the building was flooded with natural light and this "dark ride" has taken the top spot for the worst dark ride I've ever been on. The ride photo really showed it when everyone on the train looked bored. You could also see most of the warehouse which is a shame as the queue is overall really well themed. The first time I queued for it, it broke down which I don't mind but there was no announcement to tell the queue this and it was only when I saw the app and saw the queue was closed that I realised it had broke down later followed by the arrival of ride maintenance. I also found it funny how old the ride system is. Finally the whole park could just do with a general tidy up and a bit of TLC. I'm not talking about spending loads of money on it as it's not entirely necessary but little things like making sure the toilets are free of cobwebs, which I know is fighting a losing battle with it being outside but it's still doable, cleaning up a few bit of ride areas like Rattlesnake, having staff walking round with litter pickers like at Towers etc. Despite this I did have a good day at Chessington and whilst I enjoyed the park overall I think that they just miss out on some of the details which would help to make the park more enjoyable. I've been to Chessington twice this year and both times it felt like it had lost some of its sparkle. 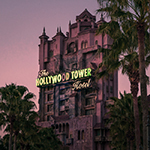 I do enjoy the overall atmosphere of the park, probably the most out of the resort parks, but I also noticed issues with Vampire and Tomb Blaster similar to yours. Tomb Blaster has had some of the effects repaired for this season, the boulder being the most notable. I believe it was the previous facelift last year or maybe the year before, where they raised the overall light level even more. A shame as it used to be pitch black in there between scenes and it was massively better because of it, even though essentially none of the scenery has changed since it was first installed. I also had the exact same issue of a ride break down and no announcements on Tomb Blaster. 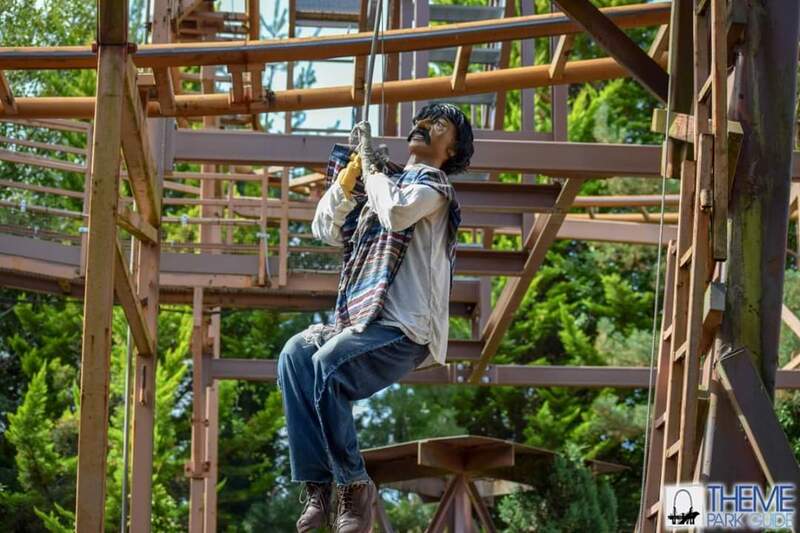 The amigo at Rattlesnake has been fixed, although it has not been seen working yet! Hocus Pocus Hall is seeking new owners. New owners to be announced on 17th October and will be taking up residence in Spring 2019. But so you're aware, Compass is a real estate agent and that is their phone number. So don't expect any clues by calling it, just probably an annoyed business!